&#65279;A bright picture in bright blue tones. Summer day in St. Petersburg. 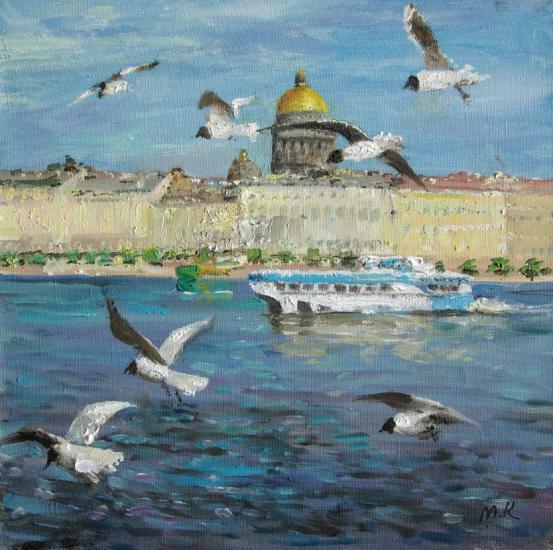 White gulls over the Neva in the foreground. A boat sails in the middle of the river. On the banks of the Neva behind the high houses can be seen the golden dome of St. Isaac‘s Cathedral. The whole picture is illuminated by bright sunlight..